After winning the Telstra Business Award I started getting phone calls from other clinic owners who wanted help, and that’s how Clinic Mastery was born. I really believe that with the right systems in place, a great team culture and a amazing client experience health business owners can find freedom. That’s what drives me every day. You’ll need your people to run the systems and the systems to run your business. I’ll help you create the systems for success. You’ll need to structure your growth so that your clinic is scaleable. I’ll minimise the reliance on you as the owner. My mother is a physiotherapist and I guess I followed in her footsteps (forgive the pun) when I decided podiatry would be a good avenue to eventually get into physio. It was never about the feet, but the people attached to them. I had always wanted a job where I was helping people in a one-on-one health setting. After learning we were going to be helping real people and performing minor surgery in our first year of study I decided to stick with podiatry! Working for someone else, I knew that there was a limit on the number of people I could help myself. I always had a desire to be financially free, only that wrestled with my desire to help people – how could I do both? So I decided to open a business. Only, I didn’t just want to open a podiatry clinic. I wanted to open THE BEST podiatry clinic. It was 2008, global financial crisis had just hit, and I was thinking – now’s the “perfect” time to start a business. I thought I had a successful business, until it came time for the birth of my first daughter, and I wanted to take 3 weeks off. It seemed unthinkable at the time. Over a period of 6 months I put in place systems, and was able to take the time off and return to a motivated team. This set me on a journey to work out how I could put in place the systems so I could work on my business, rather than in it. In the end I made a decision to put down the tools altogether. In that year of business I was able to replace my income and the business also grew 20%. Until I was 10, my family lived in a house that backed onto a golf course. All through the day we’d hear the bang! bang! on the roof when golf balls hit our house. As kids we almost had to wear helmets in the backyard to play! So I did what any young boy would do… I collected all the balls and sold them back to the golfers! 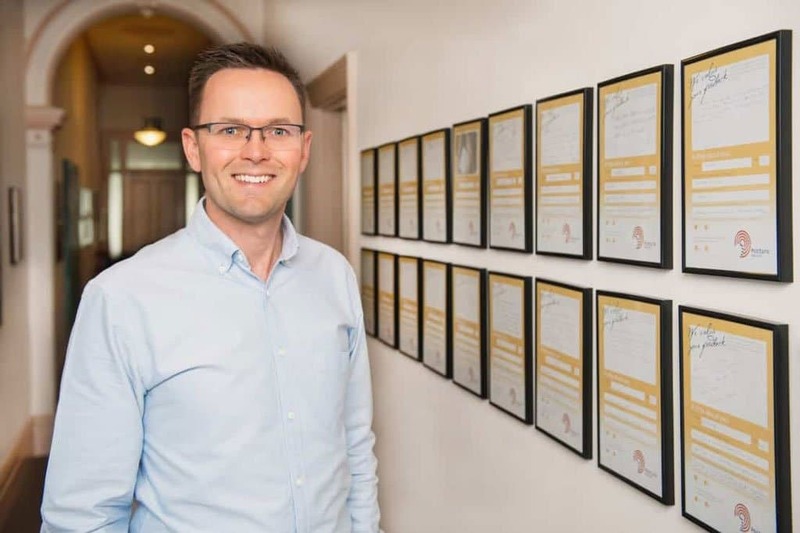 When Posture Podiatry won the Telstra Business Award I started getting phone calls from other health business owners asking how I managed to create a business that operated without me. Our focus was on creating amazing client experiences and this was leading to our clients getting better health outcomes. This became the focus for Clinic Mastery helping other health business owners grow their clinics by transforming client experiences and also finding freedom in business.